Moto X: Leaked pictures, video and in Eric Schmidt's hand. Moto X: Leaked pictures, video and in Eric Schmidt’s hand. It was in 2011 when Google bought Motorola for an astonishing $12.5 billion in cash in order to strengthen themselves against their potential competitors. After a long hibernation, Motorola would be releasing its very first smartphone under Google’s umbrella to the public this August, according to the leaks. The Moto X, as most of you already know, is the first ever phone to be entirely built in the United States in Fort Worth, a plant which was previously used in the early ages to manufacture Nokia’s pre-smartphone devices. 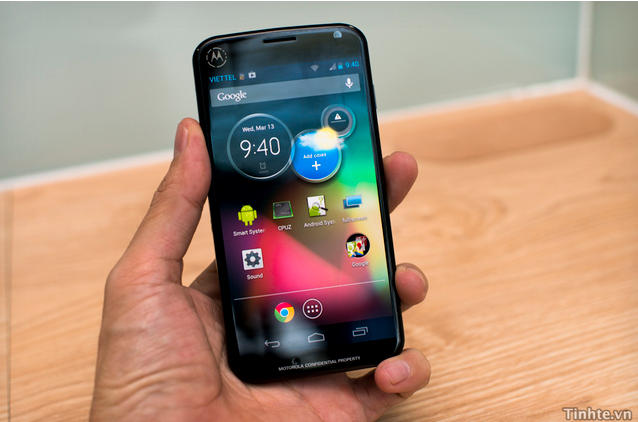 As leaks have become a new trend in the tech industry, the Moto X could not escape from its web. A Vietnamese site gave away the first pictures of a mysterious device with Motorola’s logo embedded on it and it didn’t take much time for us to come to a conclusion that it was indeed the much talked about ‘X Phone’ by Google Motorola. @evleaks also leaked a similar looking device which was actually a prototype but totally matched the previous leaked pictures. 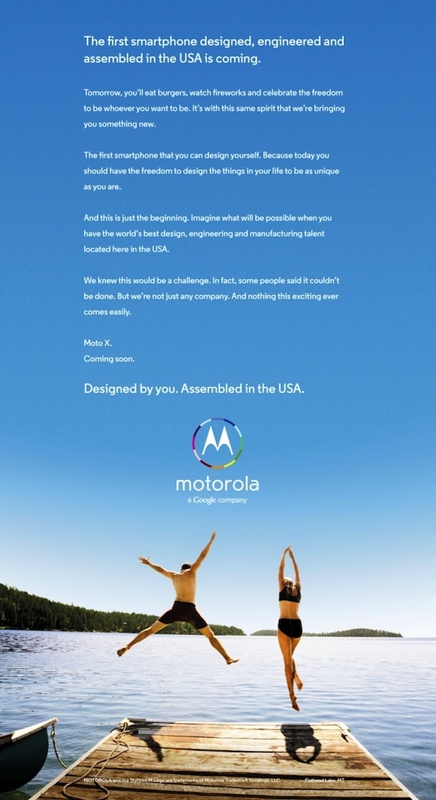 Few months later, Motorola posted a teaser ad of the Moto X with a tagline, ‘Designed by you, assembled in the USA’. There was no specific date of release mentioned in the teaser. The posture of the man and the lady which depicts XI gave us a clue that it would be unveiled on July 11th but unfortunately, we did not see it happening. How about August 11th? Fingers crossed! Just a few days back, Eric Schmidt, Google’s Chairman, was spotted holding a smartphone in his hand which was most likely the Moto X. Some commented on it being the HTC One but the position of the rear camera and the flash was enough to judge that this was indeed the Moto X. Was this intentionally done? The same tactic was also used by HTC’s Chairman when a picture of him holding the HTC One smartphone spread like wildfire. Finally, with all the image leaks here we have a leaked video advertisement of the Moto X by Rogers Wireless. The video shows how the Moto X will always be listening to voice commands without pressing a button which means it might be an always-on device. The Moto X smartphone would be a rebirth for Motorola and in order to make it viral, Google will be spending $500 million on the marketing campaign, according to a report in The Wall Street Journal. It has also been mentioned that it would be available for all the carriers this fall. For the technical specs, not much is known yet but we will be knowing it soon. For now, let’s wait for the official reveal and see how the Moto X will compete against Samsung and Apple. Let us know your thoughts on this upcoming smartphone! Looks like any other phone made in China. The Android Phones lack originality, it’s the same plastic stuff. They need to learn a thing or two from Apple about how to make phones that actually look new. Thanks for your comment Isaac. 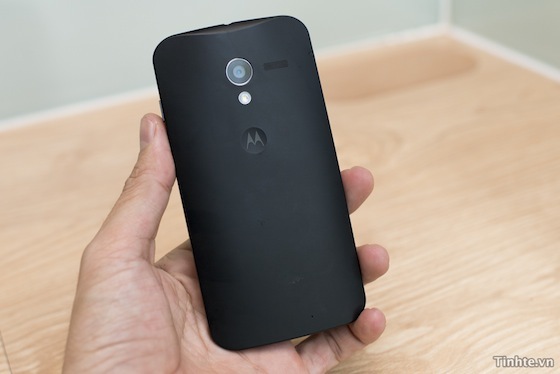 Well, the Moto X does look quite similar to the design language of Nexus 4. Let’s wait for the official reveal and see how it goes.